Do you ever feel cursed? Is everything you do doomed to failure? Do people regularly call you a Jonah? A boor? A malcontent? A jinx? A shlimazel? Have you ever fallen up the stairs? Burned water? Spelled your own name wrong? If you have answered “YES” to most of these questions… Damn, that is unfortunate. But do not despair! We have the remedies to some of your life’s biggest quandaries right here in this book. 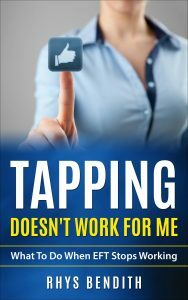 This book contains all of the information you will ever need to get your useless, pathetic life back on track. You will learn idiot-proof strategies for changing your luck and improving your life that have almost nothing to do with black magic and human sacrifice. 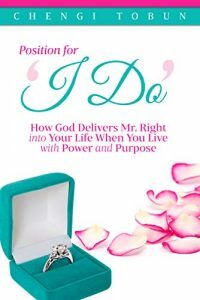 The book is overflowing with wisdom that only someone with years of experience can impart, offers historical context and present-day initiatives and describes how end-of-life doulas and health-care advocates can change the face of dying wherever they choose to serve. No doubt, Accompanying the Dying takes its place among the great works of humanity, bringing us to the next level of awareness in companioning our family, friends and communities with skillful, loving care. As a guidebook or if you just want to find yourself deeper into the world of Warrior Legend universe or just a curious manga reader willing to get your mind into a new universe, then this is the book you need! In this short but rich guidebook, you’ll get a great insight of what the characters from Warrior Legend series are about and also learn more about the world and the origins of this fictional universe. With this book, you’ll learn more about the surrounding of the manga story! I’m sure you will learn to enjoy the characters and the story of Warrior Legend Manga series with this. This book is covering information for Chapter 1-3 of the manga. Get ahead with the timeline that shows every step taken from the beginning until WL Chapter I starts. They are without doubt, some of the most successful individuals in the world of business, acting, politics and others we probably aren’t even aware of. Will you listen to what Oprah Winfrey, Brain Tracy, Ex-POTUS Barack Obama, Tony Robbins and Will Smith have to say about your morning routines? I think you should. Etsy For Anyone makes selling your art easy. Learn the secrets of Etsy so you can avoid the pitfalls and start making money fast. With over 200 action steps, you always know what to do and when to do it. Tony, an Operations Manager at SPPSD, takes the success of his team for granted. After being assigned to a new shift, and a new team, Tony comes to a crossroads in his career. Tony worked hard for his MBA and his career opportunities, but has never focused on repairing a team dynamic. Will he succeed? Will he be fired? Who can he ask for help? 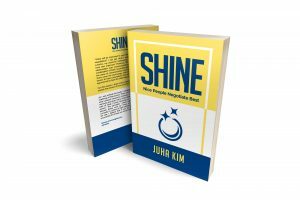 Throughout the story, Jason reveals a leadership system which can help any potential leader succeed. He outlines a powerful model and actionable steps toward developing a team or an individual. Have you ever wondered why some people seem to have so much, and others so little? What makes them different? There is a lot more to it than hard work, intelligence, or luck—and this fascinating book reveals why. How do you create vast wealth, and even more importantly how do you keep it, to grow it, and use it to build a magnificent life? This unique book of wealth is free from Sunday, March 3, 2019, 12:00 AM PST Thursday, March 7, 2019, 11:59 PM PST. There is nothing worse than being in a relationship where you feel distant, unloved, uncared for, or experience never ending tension. The reality is that in order to become happier in relationships you need to first develop characteristics within yourself that create the kinds of relationships you desire. 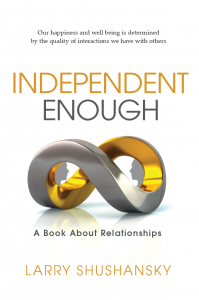 This is the big secret to having satisfying relationships and a new book “Independent Enough” shows you exactly how to do this. Let’s face it, undeniably, puppies are adorable and even our full grown four-legged friends have a very special place in our hearts. But when they start whining, we can often get frustrated or concerned. It isn’t easy to pinpoint exactly why our dogs whine and most of us, if not all of us, want to know what their whining means. Yet, until somebody develops an app or software program that can translate what our dog is trying to say to us through auditory signals, we are left to simply guess what’s on their mind. The only thing we know for certain is that they are trying to get our attention, and through whining, they are successful in doing so. Does this mean that we have to put up with all of the whining, unable to do anything about it? No, of course not. This book will help you understand the various scenarios that cause your dog to whine, and exactly what you can do about it. Bad breath ALWAYS turns people off. No amount of sexiness, beauty, or high fashion sense can make up for bad breath. It negatively affects all aspects of your life and turns you into a person who’s insecure with low self-esteem and no self-confidence at all. Imagine all the business deals and relationship opportunities you’ve missed because of your bad breath. Why suffer from this miserable condition? It’s time to take action and get rid of your bad breath. You don’t want it to stay like that forever, right? You want it gone from your mouth forever. You can do this, but before you can successfully eliminate bad breath, you have to know the possible root causes. This book will reveal not only the potential causes of your bad breath, but it will go into detail as to the various cures and treatments to finally stop bad breath once and for all. Computers are great – when they work. When they don’t, it’s an inconvenience at best and a nightmare at worst. How Computers Work and What to Do When They Don’t explains, in simple English, how the computer you use every day operates, how to keep it running well, and what you can do to fix it when it isn’t. *** VALENTINE’S DAY SPECIAL *** It doesn’t get better then this! For this week only, Discovering Love Online: Love May Be Closer Than You Think is just $0.99! ♥︎ Analyze what defines you and what you’re seeking in a lifelong relationship. ♥︎ Select the Internet dating service that’s best suited to your specific needs. 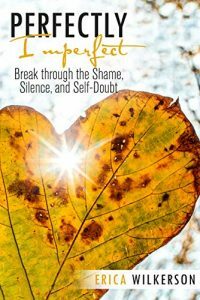 ♥︎ Recognize whether you’re experiencing love, infatuation or desperation. ♥︎ Identify and correct what’s wrong when you meet with a lack of success. ♥︎ Determine if your future partner passes the “Litmus Test” for lasting love.